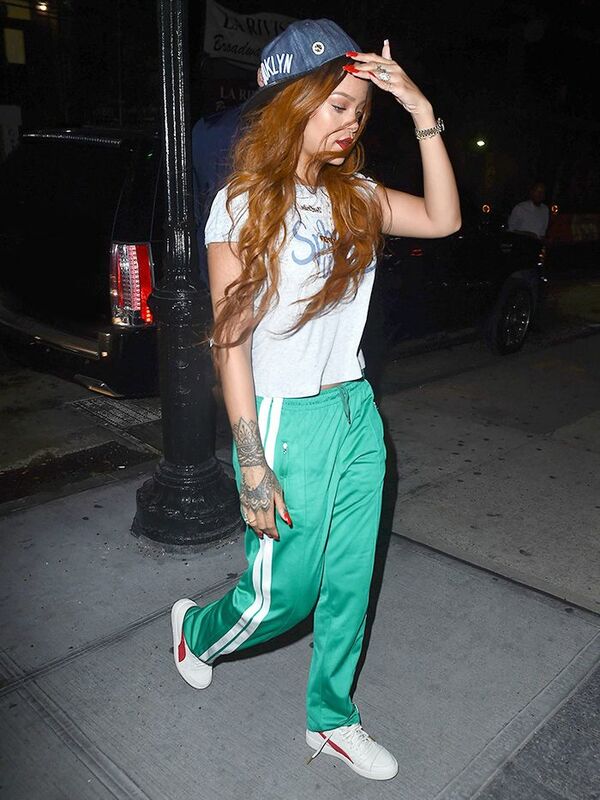 Are These Pants the New Status Symbol? To say athleisure is a widespread trend would be an understatement at this point. Major celebrities like Kendall Jenner and Gigi Hadid are embracing the idea of form meets function in creative (and comfortable) ways that are ideal for practically anyone. Lately, we've noticed these trendsetters are taking the look to another level with a pair of designer track pants we saw coming down the S/S 16 Chloé catwalk—and we're smitten. If you're interested in how to get the look, scroll down to see who is wearing them, then shop the designer version plus affordable options we think you'll love. An investment that'll keep you comfortable forever. Rainbow stripes are the coolest stripes, if you ask us. We love the crop silhouette situation happening here. Call us crazy, but we think these would work in an office scenario. Layer a sweater on top and chunky heels below, and you're set. Add a pop of color with this lime green hue. Be a street style star in these joggers. For more athleisure inspiration, shop these tracksuits.